Consider the size of your home. Bigger homes may require a larger, more powerful upright vacuum for complete cleaning. Are there stairs? If you have a multi-level home, consider a lightweight vacuum for moving from floor to floor, or think about adding a smaller stick vacuum for upstairs. Also, make sure your vacuum’s hose attachment can reach at least half way up your staircase. What type floor surfaces will you be cleaning? Multisurface homes need a vacuum that can adapt to different floor types. Are there any special above the floor cleaning requirements that might require specialized attachments, such as high ceilings, elaborate light fixtures, ceiling fans, special collections, etc. If so, you need to be sure the vacuum cleaner has the reach, flexibility and tools to do those jobs. What kind of space do you have available for storing the vacuum cleaner? Are you planning on storing the vacuum cleaner in a closet, an extra room, or another area of your home? Determining this information early on can help you make a decision on size of the machine and the area you have to store it in. Do you have time (or desire) to vacuum every day? If you do, a lightweight stick vacuum might be enough to maintain a clean home. However, if you vacuum less frequently, you might consider a larger upright or canister vacuum with a more powerful motor to ensure thorough cleaning. Do you have allergies or sensitivity to dust and mites? You will want to choose a vacuum cleaner that is HEPA certified. Be sure to change or clean the filter at least every six months, and perhaps even more often, if your allergies are severe. And, to save money, consider a vacuum with a washable filter. Do you dislike loud noises, or live in an apartment complex where excessive noise will disturb neighbors? There are vacuums available that will run quiet but still have the power to clean. The best way to compare noise levels is to check the product specifications or ask a salesperson for the decibel level (dB). A vacuum with a decibel level in the 60-65 dB range will be extremely quiet, while a vacuum with a decibel level in the 70s will compare to a kitchen garbage disposal. How do you feel about the weight? Some full-size upright models can weigh more than 20 pounds while lightweight stick models are often less than 10 pounds. If you have a multi-level home and need to haul the vacuum up and down stairs, you can find powerful upright vacuums that are lighter in weight, but they’ll often have fewer attachments and features. Do you have a lot of traffic bringing in all types of soil? The amount of traffic and the type of carpet soils is an important factor in your choice of vacuum cleaner. Most carpet soils come in on the shoes of people and pets that enter the home. If you have a house full of kids and pets, you will have more carpet soils being brought into the home. Do you have pets? There are vacuums specifically designed to help with pet hair and messes. First, make sure the vacuum you choose has at least 12 amps of power. But power is not always enough when it comes to cleaning pet hair and dander. Look for specific pet hair attachments like special brush patterns and wider openings to reduce hair clogs. 3. What size vacuum cleaner do you need? Check for the vacuum cleaner’s actual height, design and feel. It may be too big or small for you, in which case you would either be stooping so low to almost hurt your back or reaching too high just to use it. How much power will you need? Suction is the single most important factor. Many manufacturers boast about the amount of amps their product uses but air wattage a far better indicator of suction than the motor power since it examines the actual performance of the vacuum. A vacuum with over 200 air watts is a good indication that it will be a powerful cleaner. 4. Which type household vacuum cleaner is best for you? Canister or Upright? Canister type vacuums rely primarily on airflow to pick up dirt and carry it into the dirt container. This works quite well for cleaning non-carpeted floors with a floor brush as well as dusting wooden furniture, cleaning upholstered furniture and catching small corners with the smaller attachments. The bristles on a floor brush help to gather the dirt and grit while keeping the airflow close to the floor surface. Canister type vacuums require you to bend down while cleaning and are slightly heavier as compared with upright vacuums. The upright model is much easier to use and puts less strain on your back. Since you simply have to push the appliance along in front of you, cleaning your home or office does not have to be bad for your posture. Look for one with wheels that won’t scuff or damage your floors. Canister vacuum cleaners that have onboard tool storage are convenient. Upright vacuums are easier to maneuver since there are no long hoses to worry about. And if you need to change the settings to match the change from hard surface flooring to carpeted flooring, you can do so without having to change the cleaning head. But, with a canister vacuum cleaner you only need to move the powerhead and the hose around, without moving the entire machine. Upright vacuums provide a wider cleaning area than canister vacuums and are excellent for cleaning plush, deep carpets. Uprights generally have a larger dirt bag capacity and thus can hold large amount of dust and dirt with any spill-over. One of the latest trends are cordless devices. However, if you own an average to large home, cordless vacuums may not be the solution for you. Some of the top rated models last only 30 minutes before they need to be recharged. Look for at least forty minutes of power, because some models only provide ten or twenty. Bagged vacuums need a new bag every couple of months, depending on your cleaning frequency. If you don’t like the idea of buying bags and replacing them every once in a while, you can opt for an eco-friendly bagless model but you have to clean the dust container and remove the stuck hair. Some popular vacuum cleaners enhance this process by using better structural designs that allow easier access to the dust cup. 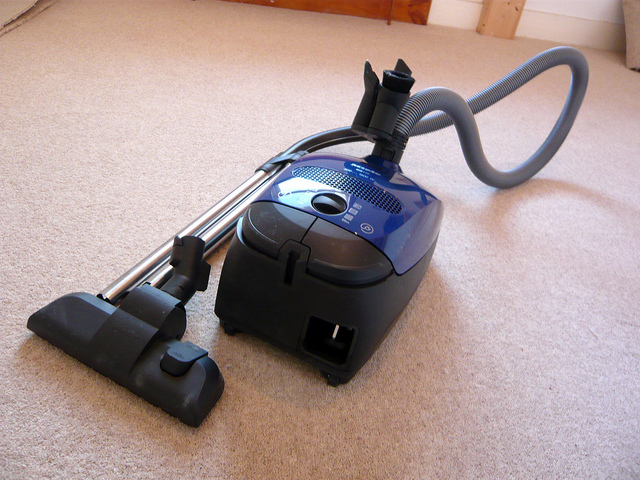 If you need to vacuum bare floors only, you do not need a powerhead or a power nozzle as it’s called. If you will be using it on carpet, be sure that you purchase one with a power nozzle, which is a motorized beater. Powerheads generally increase the purchase cost of a vacuum by as much as $100, but are worth the cost if your home has carpets. If you have mostly hard surface floors, look for a vacuum with a large standard floor tool instead, which would be more practical for your needs. Since powerheads usually have stiff bristles, they’re not a good tool for hard surfaces or wood floors because they could scratch while cleaning. Having a HEPA filter in your vacuum particularly helps in ridding your homes of harmful airborne particles. But, also make sure that your rugs, curtains and beddings are also kept clean since they can also trap significant allergens and irritants. HEPA means High-Efficiency Particulate Air. It is a type of mechanical air filter that works by pushing air through a fine mesh that traps harmful particles mentioned above. Some vacuums just circulate the air it uses for vacuuming which in turn only recycles the pollutants instead of getting rid of them. Most vacuum cleaners come with a warranty that lasts anywhere between 1 to 5 years. Just like any other appliance, most common vacuum cleaners have 1 year warranty, which includes both parts and labor costs. Many machines have extended service plans that don’t cost you anything. Be sure the machine is maintained when you’re using it so that it works properly. 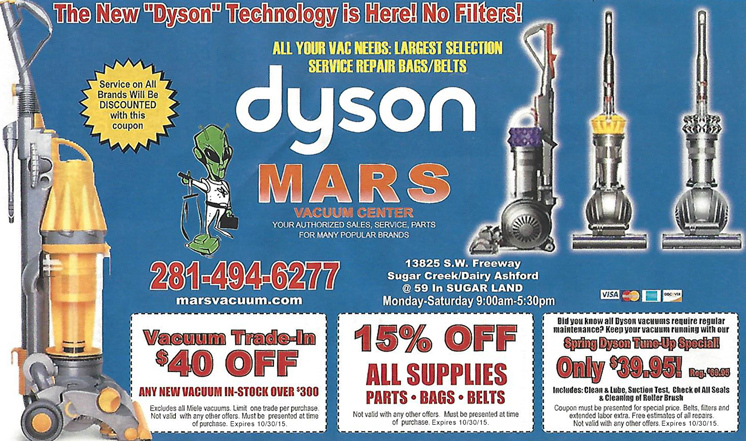 This is also a good reason to buy from a vacuum store that has the knowledge and has a large selection of vacuums to choose from. A 5 year warranty is a great indicator of the quality of the product. A vacuum cleaner that breaks after a small amount of use is worthless to you. Carefully assess the condition of the vacuum cleaner’s structure. Keep an eye out for solid parts instead of flimsy or fragile looking materials. Warranty is also a partial indicator of your vacuum’s quality and durability which can be determined by its length and specifics. Although price may play a large part in your decision to purchase a vacuum cleaner, choosing a vacuum cleaner based on the features you need most will help you keep your costs down. You might want to consider your new vacuum cleaner as an investment. Upright vacuum cleaners are overall less expensive than canister vacuum cleaners. Another general rule is that newer features can drive up cost. An upright vacuum cleaner will cost anywhere from $50 for a low-end lightweight model, to over $1,000 for some of the newer most advanced models. A good quality upright should cost between $200-$500, depending on the features. They should have a wider cleaning path, possibly dirt sensors, and some will be self-propelled. They may be true HEPA vacuums. You will find pre-motor filters to protect the motor from damage in this price range as well. The suction hoses may be more sturdy and crush resistant. Though not necessarily more powerful, these vacuum cleaners have a lot of gadgets that may be handy for your home. Canister vacuums in the $300-$600 range, may have a power nozzle, and a suction control switch. Controlling the suction allows canister vacuums to clean delicate and heavy duty areas of the home. There is not much difference in the abilities of canister vacuums cleaners between the bottom and top. To make your choice you will need to look at the company, warranty information, customer service reputation, and bonus features. Some canister vacuum cleaners are doing better at cleaning both carpet and hard floors better by having an on/off brushroll, so you may want to make a choice based on versatility. Like their upright vacuum cleaner cousins, canister vacuum cleaners at the uppermost end of the price range may be merely expensive, and not necessarily higher quality or more effective. Can Your Vacuum Cleaner Prevent Illness?